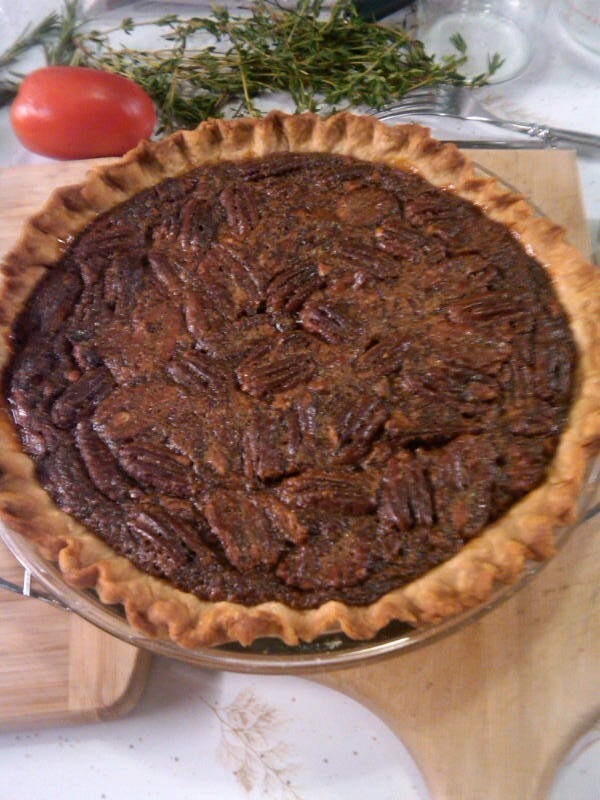 Pecan pie is my all-time favorite dessert! My father was a correspondent banker for a large bank in St. Louis, and his territory was the Southeast area. He traveled all over doing business with smaller banks in the region. And as he became close friends with many of these folks, we used to visit them on family vacations. I learned to water ski on Lake Norfork in Mountain Home, Arkansas at Powers and Louise Fowler’s weekend lake house. They had a really fast powerboat (Powers liked speed) as well as a pontoon party barge, (Louise loved a party). One time, when I was about 12 years old, for some reason, I was with my parents alone. None of my other 5 brothers were with us and we visited the Fowlers. 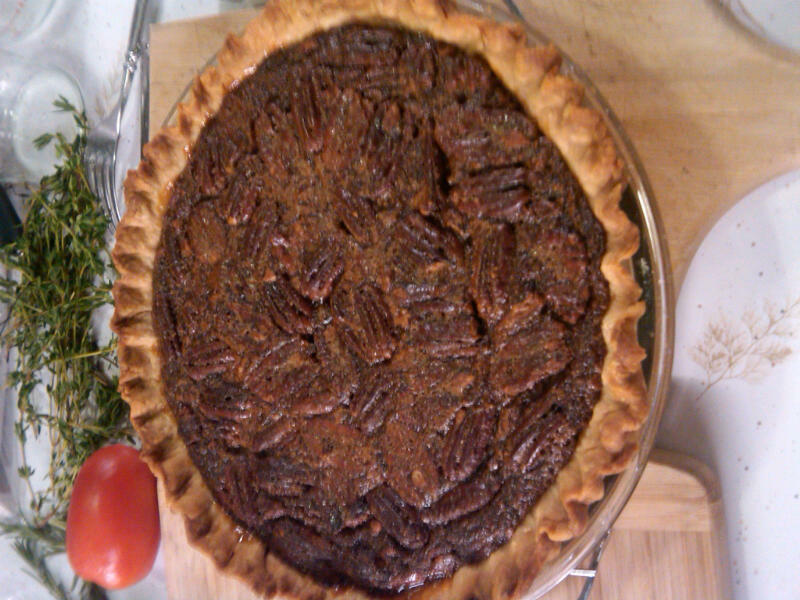 Cocktail in hand, she got up, went straight into the kitchen and made me a pecan pie right then and there. And I have been making them for years. These days I use less sugar and Karo syrup as I like things less sweet. If you like it really sweet, go with the full cup measurements. Beat eggs with a whisk, add in all remaining ingredients and mix well. Pour into a 9” pie crust, which has not been pricked, but has been baked for 5 – 10 minutes, weighted with beans or rice in parchment paper. 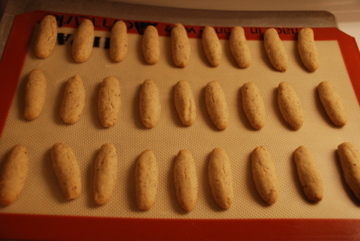 Bake for 40 – 50 minutes. 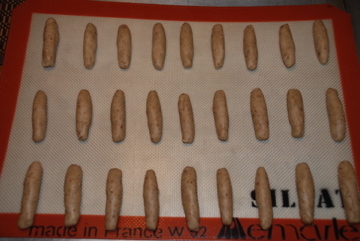 Test with a knife or toothpick in the middle – should come out clean and the center slightly set. Cool completely before cutting and serving. Bake this in the morning before your feast. Serve with whipped cream sweetened with a touch of powdered sugar and some vanilla. I use 1/2 pint of heavy cream, 1 tbs. 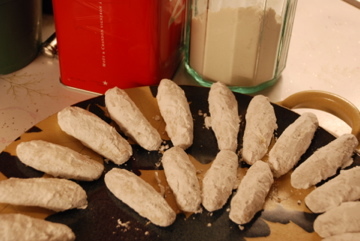 powdered sugar and 1 tsp. vanilla and beat until soft peaks form. For me, this is the perfect ending to a Thanksgiving meal!